Overview: What is an "Escape Room"? An escape room is, according to Wikipedia, "a physical adventure game in which players solve a series of puzzles using clues, hints and strategy to complete the objectives at hand. Players are given a set time limit to unveil the secret plot which is hidden within the rooms". They are increasingly popular as team-building exercises as well as a fun leisure activity. 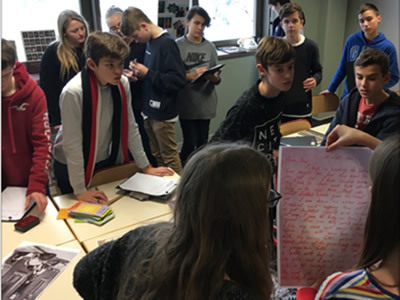 In the classroom, an "Escape the Room" format can involve students working together, against the clock, to solve a series of puzzles using existing and fresh knowledge from their studies and from clues and sources which have been left around the room. They can be great for introducing a fresh topic, consolidating existing knowledge and introducing fresh learning into the classroom in a fresh and engaging way. What is the best format for making them work in a classroom setting? 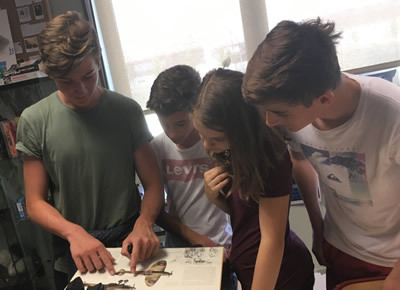 Although escape rooms have great potential for creating memorable learning experiences in the classroom, they can easily become a time-consuming gimmick where plenty of fun is had but very little genuine learning is taking place. So the challenge I set myself was to develop an easily replicable format for setting up such activities which allows teachers to set them up quickly, and which simultaneously keeps genuine subject mastery at the heart of the excitement. The approach I adopt is summarised as follows and works well in a lesson lasting 45-60 minutes. Design an engaging scenario based on the topic explaining why they need to "Escape the Room". Construct a timeline of TEN events relating to the topic. Each of these will be given out, in date order, each time a mission is completed. Decide what the "final mission" entails that will enable them to "escape". This will be provided to them as a final reward along with the final piece of the timeline. For example, the final mission might be to open the combiniation lock around the door handle to the room; this might be a four-digit date, and the the "final clue" given along with the last piece of the timeline might simply read "The fourth event in your completed timeline provides the key to escape!" Gather a series of sources - written accounts, images, props and artefacts - relating to the topic in question. You could also put together some "random trivia" slips which could be mixed with these sources if you wish. Produce TEN "missions" (questions / tasks) requiring use of some of these sources and write these on separate sheets of paper. These missions could be named after key individuals and events ("Mission Roosevelt", "Mission Fascism" and so on) which might later be researched as an extension activity. Hide at least TEN "mission tokens" in unusual places around the room (remember to keep a note of where they are!). 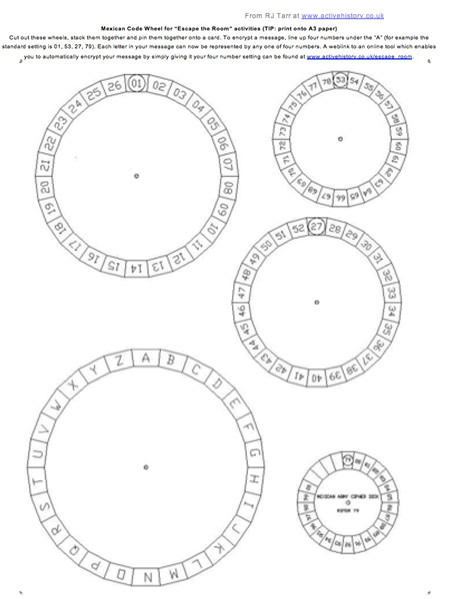 Whenever one of these 'tokens' (a symbol on a piece of paper) is discovered, students will bring them to the teacher and trade it in for one of the "missions" (which the teacher can hand out randomly, or maybe in a particular order because each one refers to a particular event in the chronological story). As an added twist, it's good fun to hide some sweets along with these mission slips that students can keep too! Prepare a few simple quiz questions which can be answered through reference to the sources in the room. If students are getting stuck at finding the remaining mission tokens after the 20 minutes, you can give them one of these questions and reward a correct answer with a hint about where one of the remaining mission tokens is hidden to keep things moving. Spread the various sources all over the room, along with various other miscellaneous sources to add further interest (and have appropriate music playing). The countdown timer from ClassTools.net is activated on the board with a 45-minute countdown. Whenever one is found, the teacher halts the class and reads out the next mission. It is up to the class to decide who should complete this mission and who should carry on looking for the remaining mission slips. If the answer is correct, the teacher ticks off this mission as being 'complete' and the next piece of the timeline (starting with the earliest) is read out and given to the class on a slip of paper. The way this works is (for example) is that each piece of the timeline has a number in the corner. The final event in the timeline contains a clue about which of the numbers on which timeline slips are necessary to complete the escape. 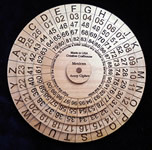 This could consist of a four-number code to a combination lock, or the code for a Mexican code wheel which can then be used to decrypt a final quiz question, the answer to which is a date which opens the lock. In this way it is only possible for students to "escape" once ALL of the missions have been successfully completed. What follows is a detailed case study, with supporting resources, which will hopefully inspire you to try one out for yourself! 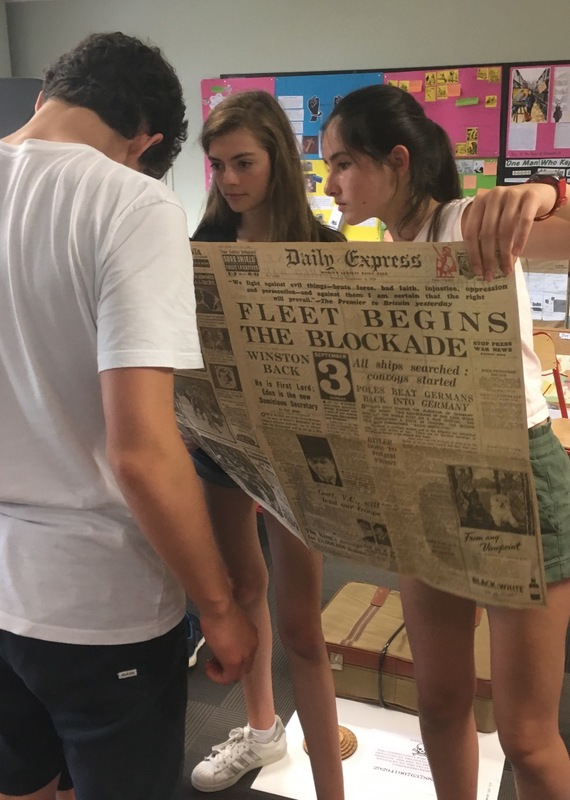 Escape Room Case Study / Download: "Operation Bletchley, 1945"
"It is 1945. Nazi Germany is on the verge of defeat after being invaded by the Russian forces from the East, and Allied forces from the West. You are a group of top-secret codebreakers at Bletchley Park, England. Thanks to you the Enigma codes of the Nazi high command were broken. However, our celebrations have been cut short because we have received an anonymous phone call that a nuclear bomb has been planted in our operations room by an enemy spy who has locked all escape routes. The caller is a double agent who was pretending to help this spy with their evil work. He is keen to help you escape but had to hide clues in the room so as not to blow his own cover. The bomb is locked in a suitcase in the centre of the room. Your job is to crack the code of the lock so you can open the case and defuse the bomb. It has been placed on a timer, leaving you only 45 minutes"
Print off this timeline of events and cut it into slips, ready to hand out each one in turn as each mission is completed. Print off this sheet of missions. Cut out the each one and hide it somewhere in the room (note: the attached mission sheet not only has the missions and the answers, but also my own suggested hiding places for my classroom. You will need to adapt these for your own classroom environment as appropriate). Print of this sheet of hint questions and keep them safe for later. Print off these primary sources. 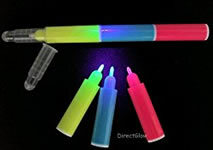 Put them all over the room. Some of these are needed to complete the missions, some merely add further interest and information. 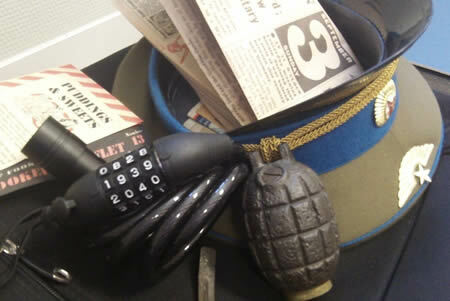 Spread out the contents of the WW2 memorabilia packs (some of which is necessary to complete certain missions). Have this Spotify playlist of World War Two music playing to add some atmosphere. Project the PowerPoint introductory presentation on the screen. Add any other relevant artefacts and 'red herrings' into the scene as appropriate. I also threw a few chairs around and turned a couple of desks upside down! In the center of the room, place a suitcase with a combination lock around it (the code for which will need to be deciphered to defuse the bomb and 'escape'). I also have a World War One artillery shell which I put inside the suitcase. When pulled apart the 'bomb' will contain a bag of sweets to be shared between the students). 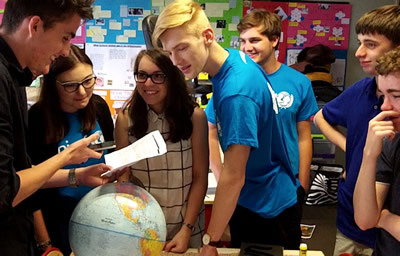 Students are then encouraged to engineer their escape by finding mission slips, completing the tasks and reconstructing the timeline in the manner described above. From this point the activity should pretty much run itself - students will start hunting around the room trying to find missions, then completing them, and slowly building up the timeline. As the teacher, all you need to do is have your own copy of the mission slips printed onto a sheet so you can tick off which ones have been located, and which ones have been completed. What I find is that for the first few minutes they find very little and rummage around; then they find/solve a sequence of missions; then they hit a brick wall - at which point the hint cards come into play. It’s a good idea to greet students outside the classroom and introduce the scenario (above) before they are allowed inside. 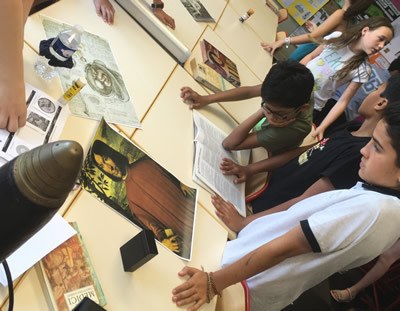 Lead the class into the room and give them a couple of minutes to explore the scene, look at the images, handle the artefacts and read the sources. "You will have to locate ten missions. Each time you locate a mission, alert the teacher so it can be read out to the group. Similarly, each time you complete a mission, alert your teacher. Your teacher will read out the question, the answer, and then the next timeline event slip will be read out and given to the class on paper. When ALL of the missions are completed, the final event in the completed timeline will provide you with what you need to unlock the case". 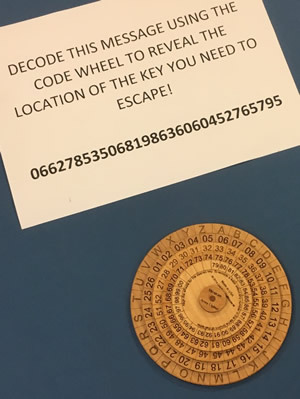 In this particular "Escape Room", each timeline slip contains within it one number in the corner. The final timeline slip says which timeline events contains the numbers for the combination lock that will defuse the bomb. This should not be stated directly but in the form of a cryptic clue (e.g. "1st, 3rd, 5th, 7th"). What sorts of things did you learn through this activity? How did your group work well together? How might you have worked together better? Which task was most difficult? Why? In the following lessons, students are provided with the timeline in worksheet format. They develop this with notes from two videos ("Britain Alone" and "The Road to Berlin") and images from a web search. 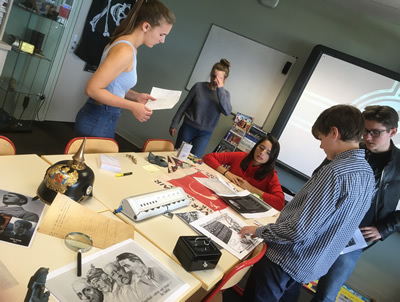 They will then use their completed work to choose one character, event or theme to research further: "Find out three interesting facts about your topic in relation to World War Two (1939-45). Be prepared to share your findings with the class. Your teacher may, for example, conduct a 'Tell us something we don’t know' feedback session to identify who has conducted the most interesting research. 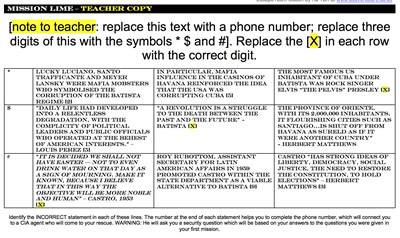 Alternatively your teacher may ask you to produce a classroom exhibition by collating the research of all members of the class"
A simple factual question that can be answered through reference to one of the sources in the room (**NOTE: if you are constructing your first Escape Room, I recommend you keep things simple by having ALL your missions in this format, and then adapt the activity the following year with a few more unusual missions as listed below**). What, according to the pamphlet, is the magazine of the Women’s Land Army called? Take an A4 overlay and place it over a key text or image. Circle off the relelvant detail with a transparency marker. Then write a question onto the transparency, the answer to which can be found be overlaying the transparency onto the relevant source. Somwehere in the room is a detailed account of the Cuban Missile Crisis. Overlay this transparency onto it to obtain the name of the Russian ambassador who secretly met with Bobby Kennedy at the height of the crisis and find out exactly what he is quoted as saying. Provide the images of four people relating to the topic, along with some useful biographical details about their historical significance. Students have to name each one of them using the sources around the room to help them. "Name the following people whose faces are shown on this sheet of paper, using the information provided about each one underneath to help you"
Cut up an image / poster into pieces and put these around the room. Students have to reconstruct the image and provide the caption that's upon it. "Reconstruct the poster of World War Two fighter pilots from the Battle of Britain. What does Churchill have to say about them?" 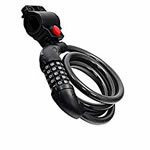 Provide a phone number with missing digits. Give students a series of multiple choice questions. Each of the possible answers for each question has a number alongside it. Identifying the correct answers therefore provides the missing digits for the phone number, which has to be dialled (you'll need to use your phone number for this one). Create a blank table on a sheet of paper, with a caption in each cell and a space for an image. Students have to find the missing images, hidden around the room, and put them into the correct spots. YMJ YBT JAFHZJJX NS YMJ UTXYHFWI FWJ "MFUUD GD YMJ..."? 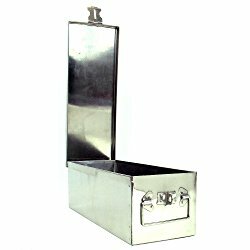 Place the mission in a locked box. Hide the key somewhere in the room. 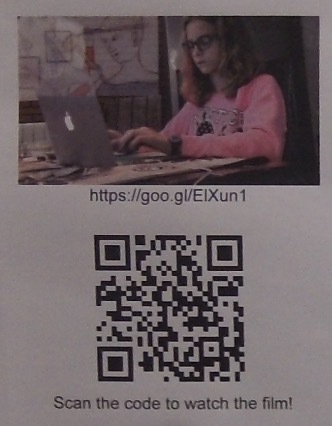 Have a question which needs to be answered by watching a YouTube video, which is provided in the form of a QR code which students then have to scan and watch with their phone. Tape the mission instruction to the ceiling (blank side of the paper facing down to make it more difficult to spot). Hint: You will have to look upwards to find your mission. Write the mission onto a laminated surface using a UV pen. 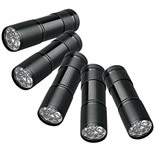 Students have to use a torch (the batteries for which could be taken out and hidden around the room for an added challenge). Students love this one. Hint: You will have to be quite *bright* to complete this mission. Hide mission slips in security boxes with combination locks. The correct code corresponds to a date hinted at in a cryptic clue in the room. Hint: The date of Barbarossa will unlock your mission. Stick the mission onto a part of a globe, then spin it around so it’s facing the wall. Hint: The location of your mission is on the other side of the planet: Singapore, a British colony which fell to the Japanese in 1942. Between the pages of a book. Note how the hint to the right demands they use an index to find it. Hint: The location of your mission can be found at the spot of Tunzelmann’s very last reference to Batista in her book "Red Heat". Under a plant pot. Hint: Your mission is planted somewhere rather obvious. I have so far produced a couple of other "Escape the Room" scenarios for my classes, outlined below. I plan to add more of these in due course. 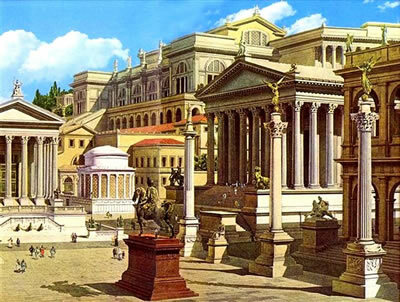 "You are a team of famous archaeologists preparing an exhibition about the Roman Empire which is due to open in just 45 minutes. The prize exhibit has been locked away safely by your team leader, but he has now been kidnapped by a group of art thieves who are asking for a ransom. 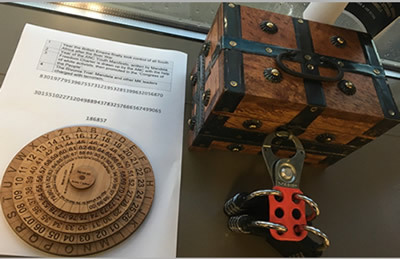 Your task is to crack the codes on the locks which will allow you to open the box, recover the priceless exhibit, and start charging people to visit your exhibition. If you fail to do so then you will not be able to raise the money for the ransom and your team leader will be lost forever!" "It is 1888. You are an undercover detective working on the infamous 'Jack the Ripper' murder case. One evening in the Autumn of 1888, two women are murdered in just one evening. As you conduct your own private investigation the police arrest you for acting suspiciously. Once it becomes clear that you have been seen near the other crime scenes, they charge you with the murder and thow you in a jail. Being an expert lockbreaker, you are able to spring yourself out of the cell and into the main investigation room the same night when the police are called out to another suspected murder. However, this room too is locked, and you have only 45 minutes to get hold of the spare key - locked in the box in the center of the room - before they return and march you off for almost certain execution..."
"You are a member of the Social Democrats, enemies of the new chancellor of Germany, Adolf Hitler. The Reichstag has just burned down and Hitler has persuaded President Hindenburg to declare a state of emergency and outlaw opposition parties. You were tricked into coming to a secret meeting which was in fact organised by the SA. They have locked you in a room with a bomb due to explode within it in 45 minutes. Your job is to unlock the case and defuse the bomb before it explodes and kills you all". "It is 1966. You are anti-apartheid fighters who have been captured after being in hiding since the Rivonia Trial of 1964. Following the assassination of Prime Minister Verwoerd, you have been discovered and placed under house arrest following a dawn raid by the police. You have been left under the watch of an armed guard while the police have headed back for reinforcements. If you go to trial there is every chance that the terrorism charges against you will result in your execution! Fortunately for you the guard has fallen asleep and it will be 45 minutes before the police return. If you can unlock the box containing the spare key you can make your escape!". Russel Tarr (@russeltarr / @activehistory).